"SCAVO Technologies is based on the commercial model of the SCAVO Token. 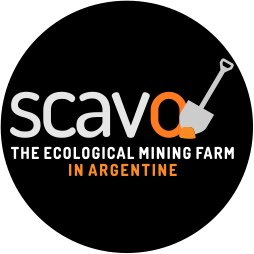 Each SCAVO Token acquired by our investor represents the right to receive profits from everything produced by the mining farm for life (as long as it is the Token holder), understood as the period during which the profits exceed the operating cost necessary to maintain in operation the farm. The technology developed by SCAVO Technologies and third parties will be used to build self-sustaining and scalable mining centers using renewable resources for power generation. SCAVO Technologies will finance the construction of the entire system that makes up the mining center through crowdfunding by distributing the SCAVO Tokens, during the Initial Coin Offer (ICO)."